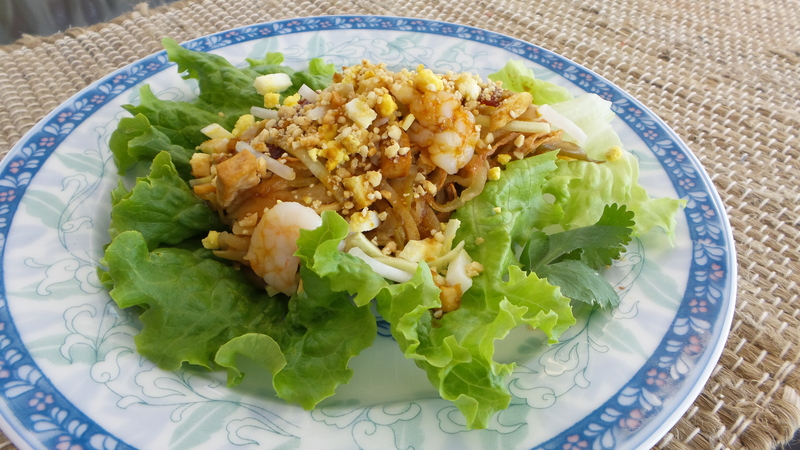 Popiah is one of those dishes that we do not cook for everyday dinner. Shredding the jicama (chinese turnip) manually took a lot of effort until I was introduced to a electric shredder. Wow, having the right tool really gets the job done so much faster and better. I have yet to find a gadget that will slice the french beans diagonally and precisely for me; still waiting for that magic invention. In the meantime, I have to slice each bean one at a time. 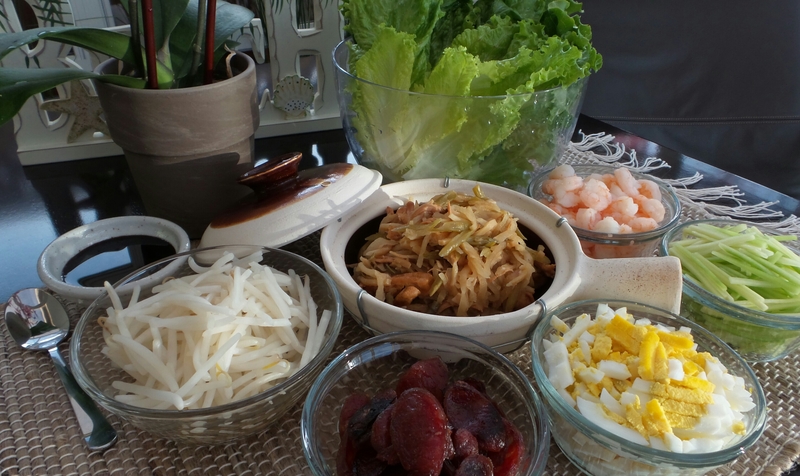 Preparing all the remaining ingredients and garnishes for this dish takes an awful lot of time, which is why we do not cook popiah often, except for special occasions. Perhaps the cook is the problem, I need to hone my knife skills to slice and dice faster! We had popiah last weekend since the twins were home for spring break. It calls for a special dinner, and we all love this dish. 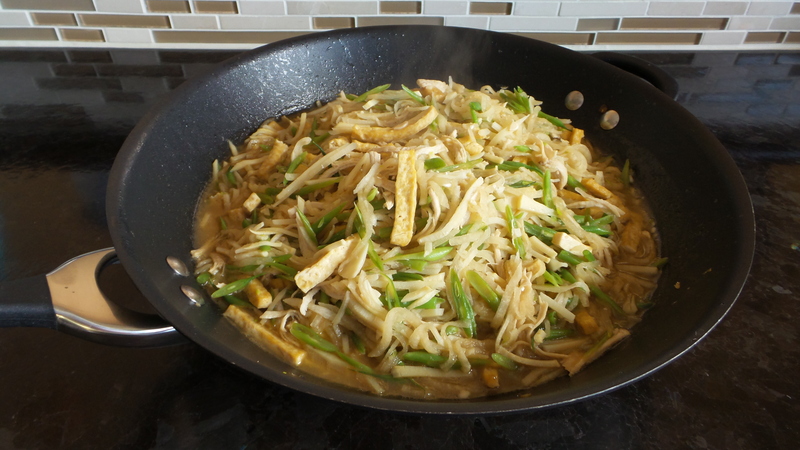 Transfer content in the wok to a slow cooker and set it to cook at low temperature for 6 hours. Just before serving, remove popiah skin from packaging. Separate the sheets and stack them on a plate for streaming. Steam for 10 minutes over low heat. Note: Wrap a kitchen towel over the cover of the steamer to catch the steam so that the water condensed on the cover do not drip on the skin. Place a segment of lettuce leaf over the skin. 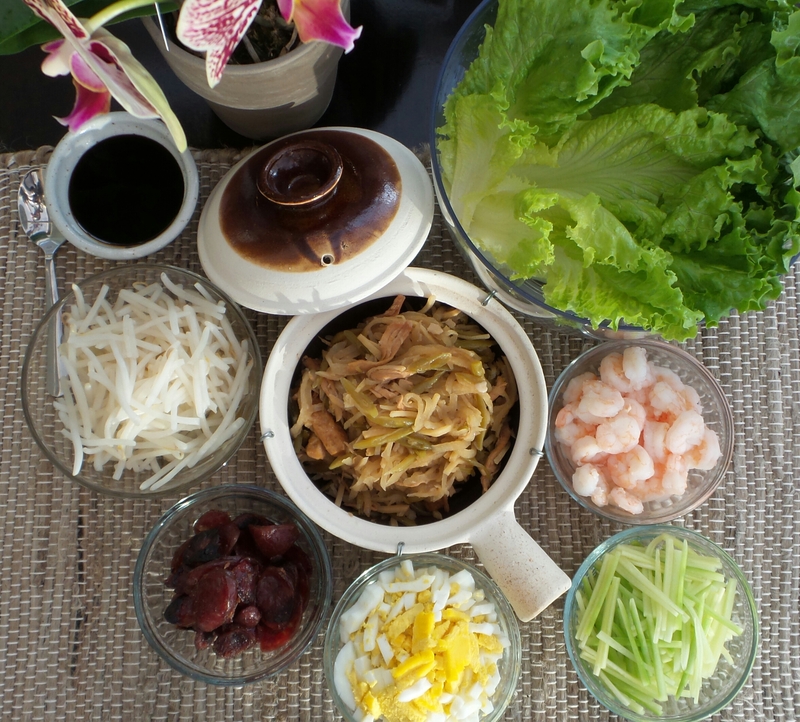 Top with shrimp, eggs, Chinese sausage, cucumber, beansprouts, and cilantro. Drizzle sweet black sauce and sprinkle peanuts over the filling. Roll the skin and wrap the filling like a burrito and enjoy! The packaged popiah skin dries up and breaks easily. Keep skin covered with a moist towel after steaming. I haven’t had any luck wrapping a nice looking popiah, so I resorted to use a large lettuce leaf as a wrapper. It became a Chinese lettuce wrap!